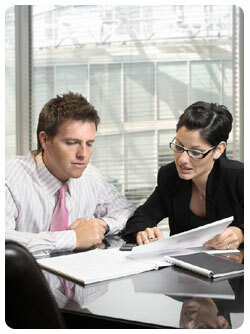 It’s critical for your business to have the appropriate business liability insurance protection. At Russo Insurance Agency, we serve a broad spectrum of corporate clients ranging from small business owners to multinational corporations engaged in a wide variety of commercial activities. You will see that our staff of dedicated professionals is committed to designing a comprehensive insurance program that meets your firm’s particular coverage needs while adjusting to changing market conditions. We thoroughly examine every aspect of your operation to determine the best possible approach while remaining sensitive to your business costs. Learn more about the specific business insurance products and services we offer and then contact us to discuss how we can create a program that works for you.